Maingate Lakeside Kissimmee family resort is home to three great Kissimmee restaurants. You can indulge in delicious dishes morning, noon or night at our resort, so pull up a chair and dig into favorites at Greenhouse Restaurant and Grill, Pizza Hut Express, or our Cabana Bar. The Greenhouse is your first choice for a classic American breakfast buffet, stocked with bountiful options like made-to-order omelets, a waffle bar, fresh Florida fruit, scrambled eggs, pancakes, French toast and a daily special. This one-stop food shop offers a convenient way to grab a bite morning, noon and night. Stop by for a quick breakfast and gourmet coffee in the morning. Fuel up on sandwiches and snacks throughout the day. Indulge in desserts at any time. The full Pizza Hut menu is also available on site or by delivery to your pool or room any time of the day or night. Cold refreshments and hot snacks are available at our poolside Cabana Bars. 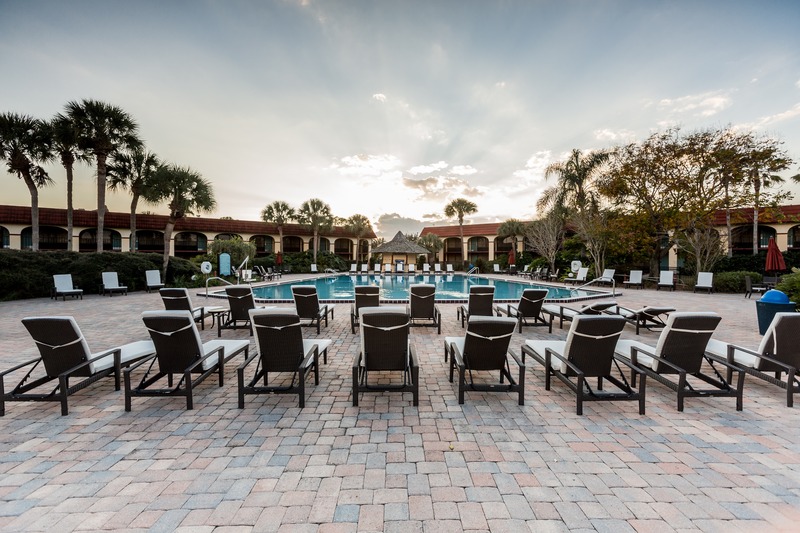 Each of our poolside gazebos serves ice-cold refreshments and hot snacks straight from the grill, adding to the convenience of your Orlando resort experience. View our Kissimmee dining menus for more information on each restaurant at our Kissimmee family resort.